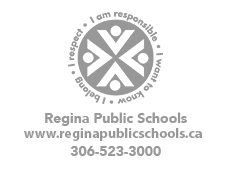 It is time again for a licensed oral health professional to provide dental screenings for students in grade 1 and 7 during the 2018-2019 school year. The screening at Douglas Park School is scheduled on November 6th and 7th, 2018. The previous dental screening was done in 2013-2014. The information collected from the screening will be used to plan and develop preventive program services based on the needs of your community. 224 students at Douglas Park School had perfect attendance for the month of September! Way to go Lions!! Cross Country Final Meet Has Been Cancelled for Wednesday, October 3 Due to Weather Conditions. It will not be rescheduled. Read more about Cross Country Final Meet Has Been Cancelled for Wednesday, October 3 Due to Weather Conditions. It will not be rescheduled. Our school is participating in FCC Drive Away Hunger, which means we'll be collecting donations of dry food goods, to help feed families in our area, from September 25 to October 4. Your child should have brought home a brown paper bag to fill with donations. There is a drop-off area in front of the office. Thank you for your support.